Princess Day! What a fun time we had! 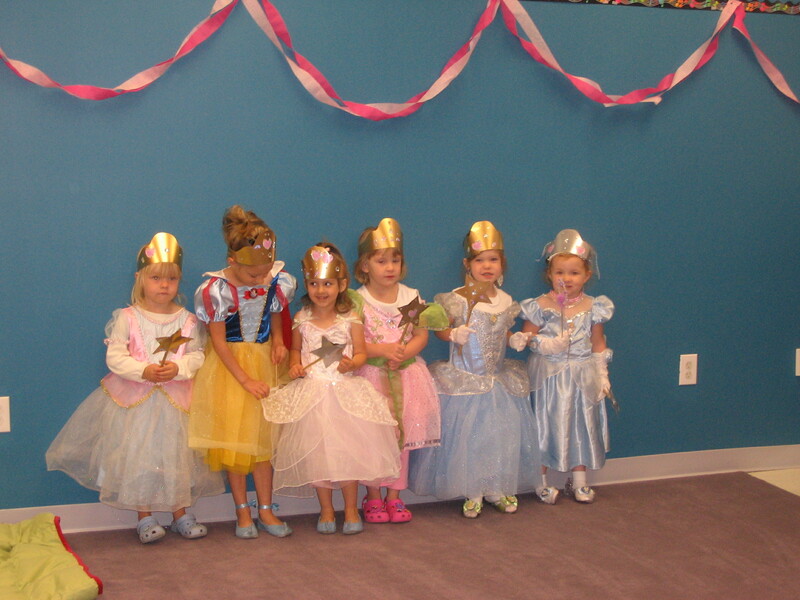 Please check out some of the fun we had on Princess Day! Playing with our Egg Shaker Instruments! Rocking and resting with Mom and Dad. We are ready to have some fun…say cheese! 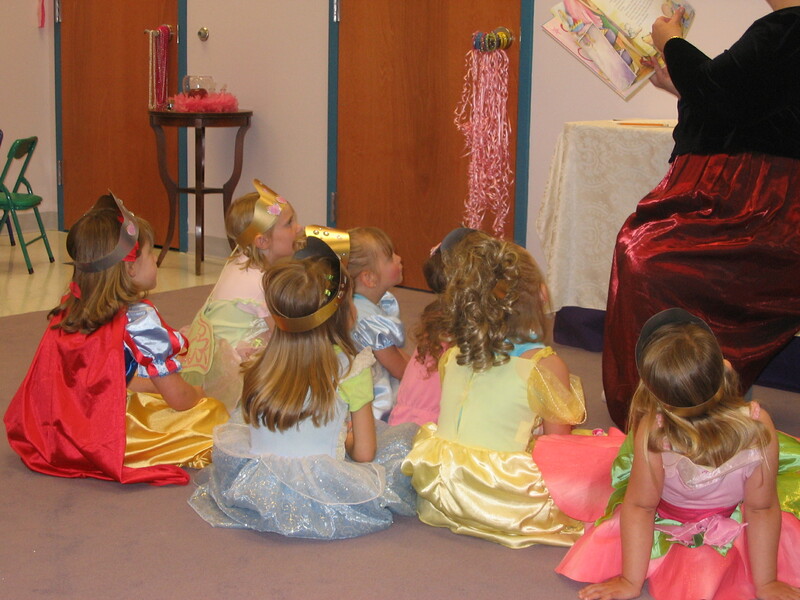 Today 14 little princesses came to have fun with Queen Ms. Julie! We made crowns and sceptors, danced around a Maypole, read Tressa the Musical Princess who “Saved the Day!”. We all ‘saved the day’ when we turned Dragon Eggs into Eggs with Golden Coins inside! Our eggs became wonderful shaker instruments which we played in many fun ways and even had a Princess Parade! We heard about the wicked step mother who made a poison apple for her step daughter princess to eat and the fairy god-mother who gave the princess the magic words “Obsiwana” to protect her from the poison. Then we promptly made our own “Poison” apple and said “Obsiwana” over it before playing a pass the apple game. We heard about the frog prince, who was looking for his princess and about Princess Golden who was changed into a GoldFish by a wicked witch and how her fairy godmother turned her into a beautiful Golden Fish who became the protector of all Princesses! She brought us a delicious snack of Goldfish Colors and a special Princess Pet to always remember her! We made pet collars with bells to easily find our pets if a wicked witch was near and then danced with those and ribbon streamers as parents joined us. 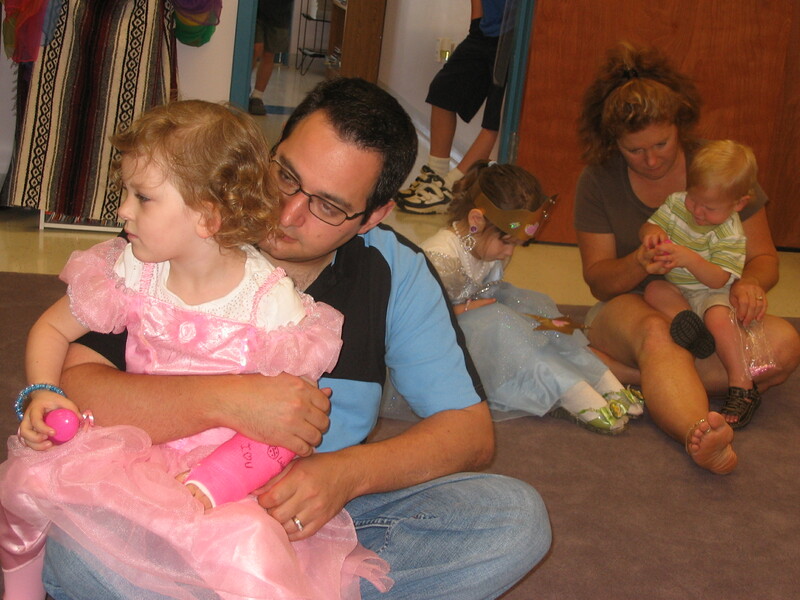 We ended our time with a gentle rocking and resting song with mom’s and dad’s before leaving to go home. I have daughters so this is about Mother’s and Daughter’s…a beautiful tribute! I hope your Mother’s Day is wonderful! Joshua Bell is one of the world’s greatest violinists. His instrument of choice is a multimillion-dollar Stradivarius. If he played it for spare change, incognito, outside a bustling Metro stop in Washington, would anyone notice?…. Click the title link to this article to find out what happened! Thank you to Mollie McGinn for bringing this article to my attention! 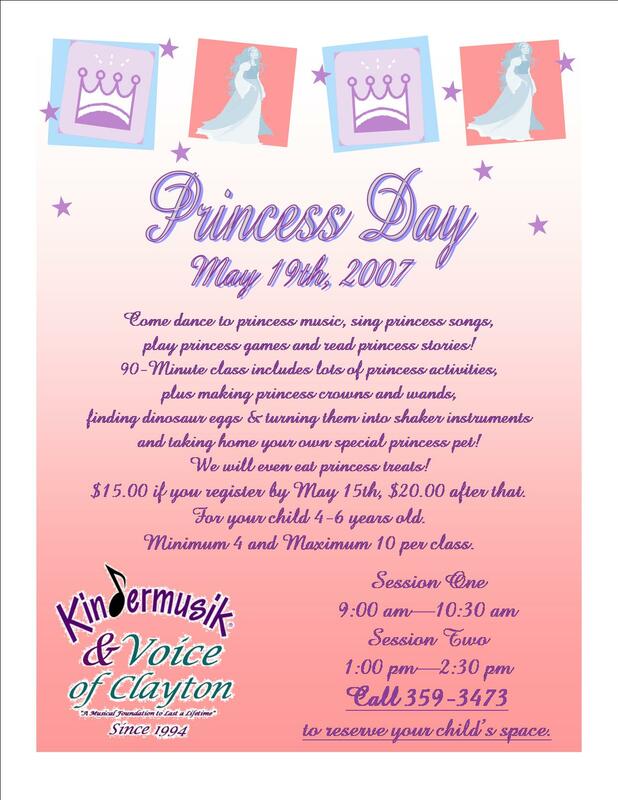 Princess Day is May 19th! 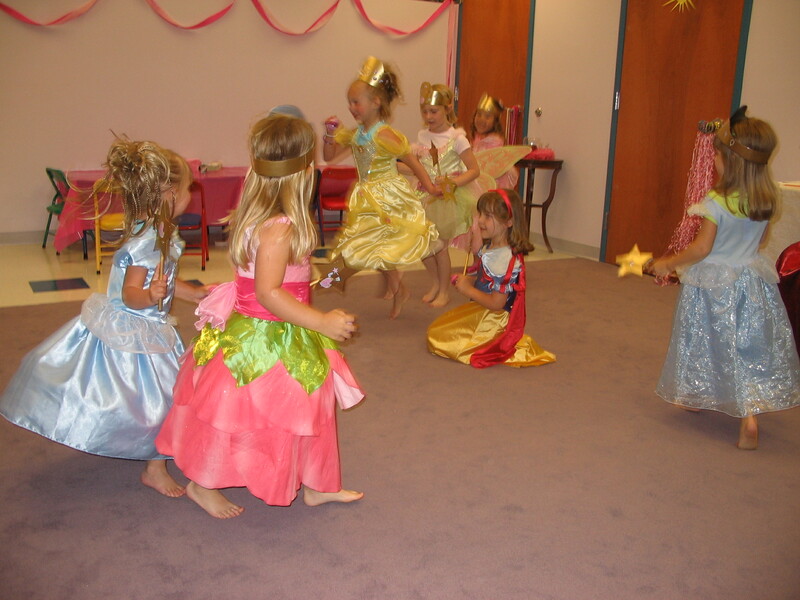 Come dance to princess music, sing princess songs, play princess games and read princess stories! 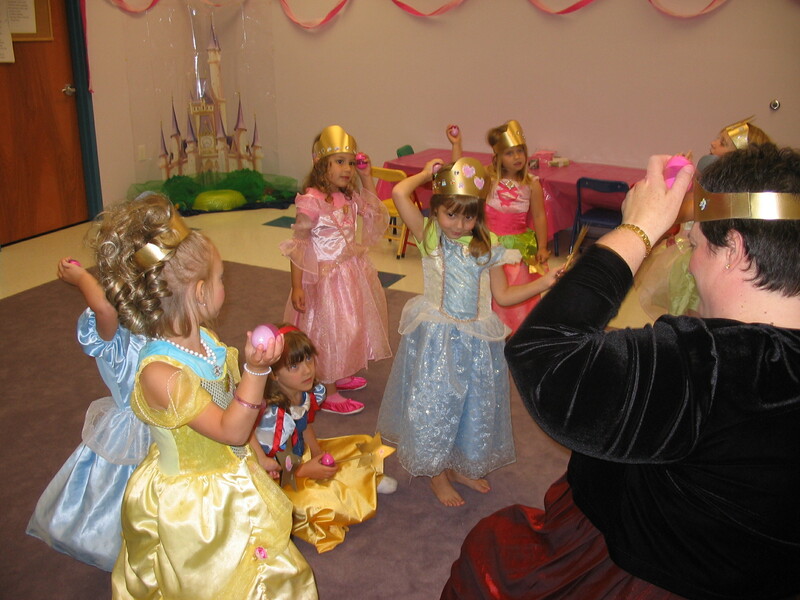 90-Minute class includes lots of princess activities, plus making princess crowns and wands, finding dinosaur eggs & turning them into shaker instruments and taking home your own special princess pet! We will even eat princess treats! $15.00 if you register by May 15th, $20.00 after that. Watch video to benefit Autism Speaks.